One of the products that we find to be important to a chiropractor's Pivotal Practice is an instrument adjusting table. Targeting and treating specific areas of the body with instrument adjusting tools can be a workout for practitioners because of the squatting, positioning, bending and reaching it may involve. Our instrument adjusting tables strive to eliminate this. 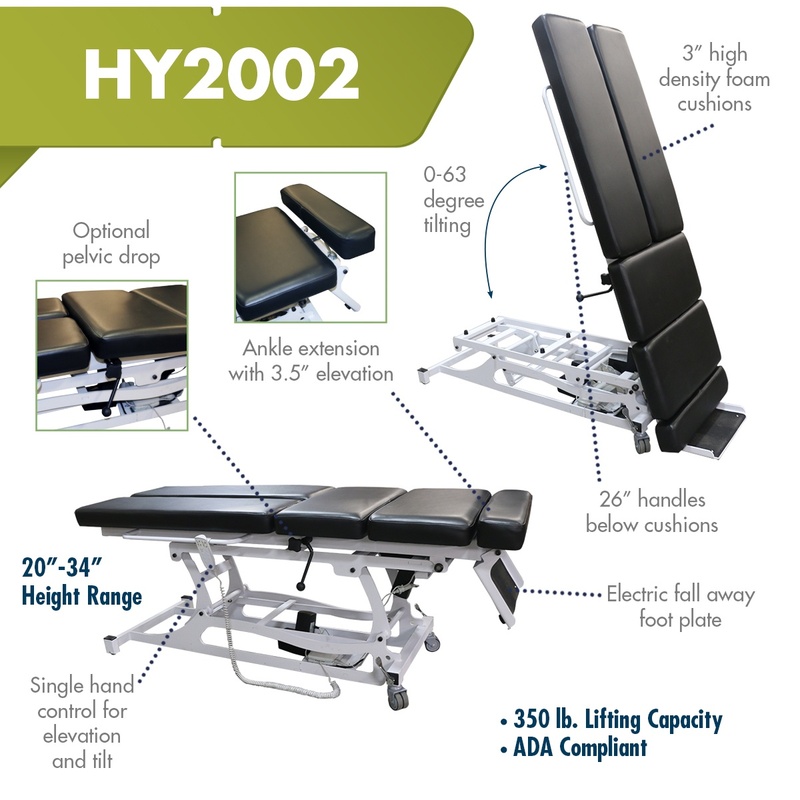 These tables allow chiropractors to perform instrument adjusting techniques on patients of various sizes and mobilities in stable, convenient positions without any hassle. 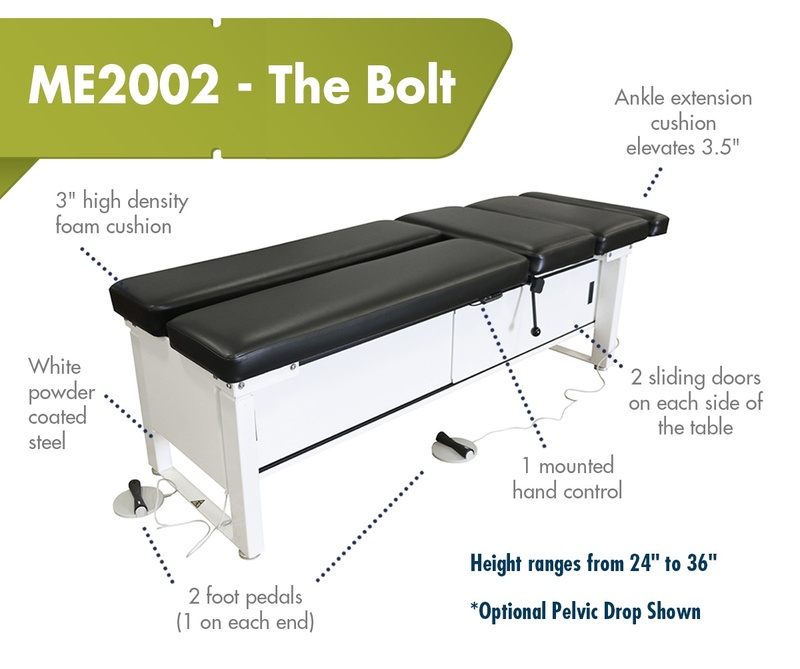 Because of their dynamic features, the HY2002 HYLO IAT and the ME2002 - The Bolt, allow chiropractors to treat each patient uniquely and effectively and are the perfect addition to your Pivotal Practice. A Pivotal Practice is one that encompasses a variety of PHS products to be used in different areas of chiropractic as well as massage and physical therapy. Having a diverse list of treatment options opens your practice up to more opportunities and gives you the ability to successfully treat a wider selection of patients.